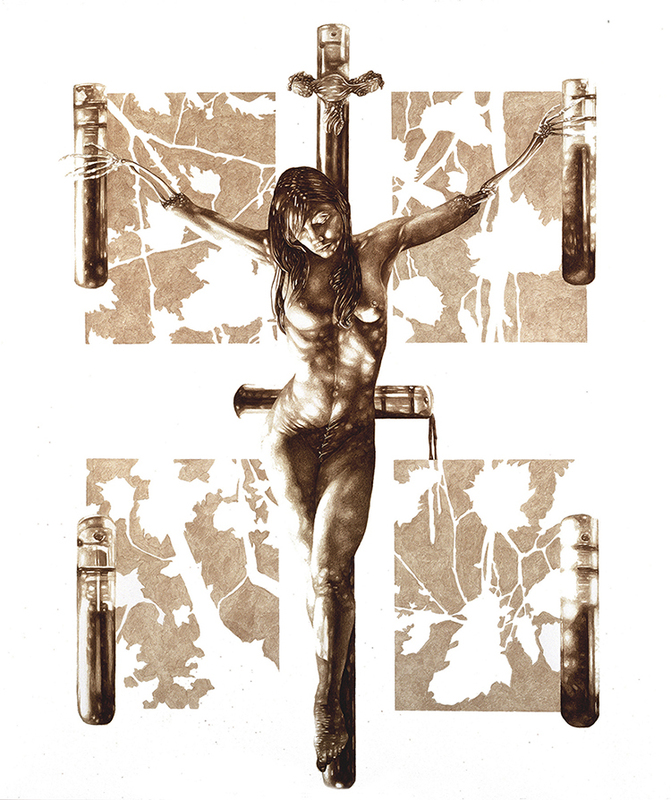 Salem Art Gallery – the headquarters and cultural center of The Satanic Temple, Salem, MA (64 Bridge St.) – is pleased to present “Sanguine Spring”, a selection of large-scale paintings, limited editions and sculpture by world renowned artist VINCENT CASTIGLIA. The exhibition is inspired by the idea that Romans viewed February as a time of purification and honoring one’s ancestors. Ritualized bloodletting, purging, and celebrations of opulent excess often accompanied observances such as Lupercalia, Parentalia and Feralia in February to expel the vestiges of winter. 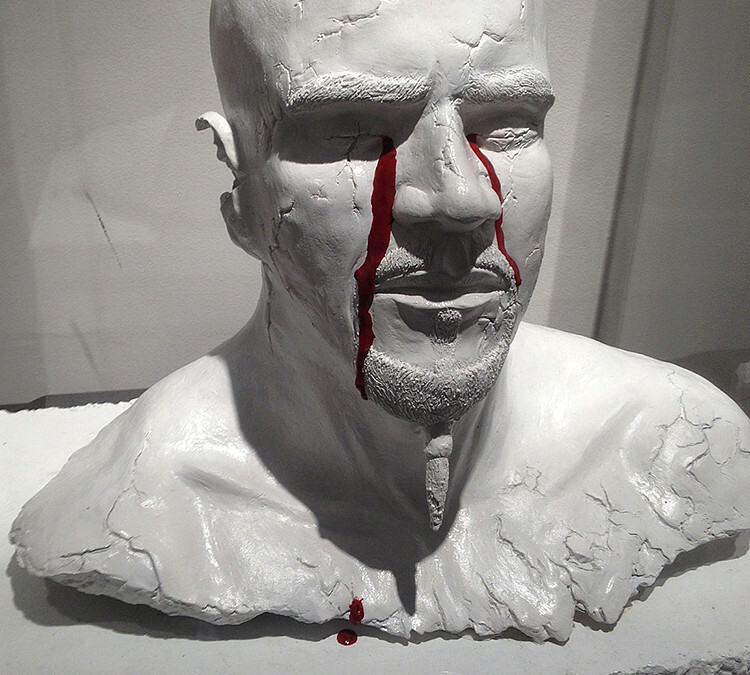 Castiglia’s art, created with human blood, embodies personal, emotional, and creative purification and purging oneself into one’s art. “Sanguine Spring” opens this Saturday, February 18, 2017 from 8-11pm, and runs through April 1st. The Satanic Temple facilitates the communication and mobilization of politically aware Satanists, secularists, and advocates for individual liberty. 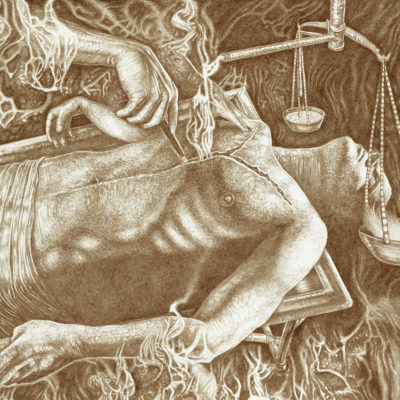 While Castiglia’s appreciation for the occult is evident in his art, he does not identify as a Satanist, or with any other one School of esoteric or religious thought, but rather understands the aims of the Temple as a progressive ideology with a positive message and intent aimed at healing particular social ills.